Former All Blacks and Golden Lions coach Laurie Mains says that South Africa’s days of being “top competitors are over” due to their quota rules. Current Springbok head coach Allister Coetzee has been given a mandate to increase the number of black players in his squad to half of the team which could mean that players are selected by colour and not on merit. Coetzee took over from Heyneke Meyer as coach of the South African national side and who had a quota target of a quarter of the team at the 2015 Rugby World Cup. 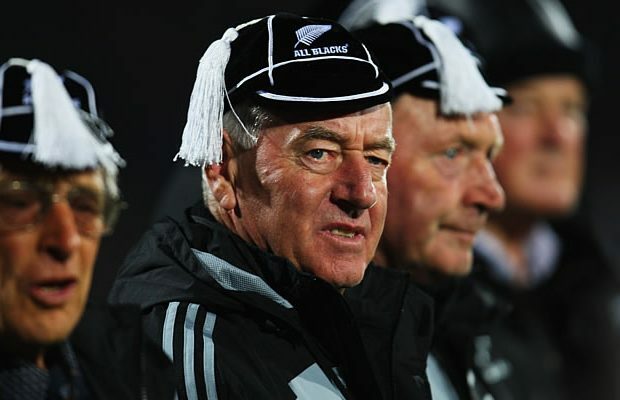 1995 All Blacks Rugby World Cup coach Mains has experience of coaching in South Africa a he led the Lions – then known as the Cats – to the Super 12 semi-finals in 2000 and 2001. “When I coached over there I could see the reason for it (a quota system),” Mains told FoxSports. “It was a genuine attempt to create opportunities for the black and coloured players and I respected that, because there hadn’t been big numbers of them. “And the reality now is that they’ve had plenty of time to develop. “The ones that are playing at the top level now are getting the advantage of what happened in the late 90s, early 2000s, when they first brought in this system at Currie Cup level. “It no longer needs to be there, it should now revert back to the best players get selected because all of the players in South Africa in the last 15-18 years have had opportunity to develop. “It should go back to straight merit selection and then we would have a world power in South Africa again. “You can’t go on forever favouring the position of one colour against another. South African Rugby’s shining light currently is Mains’ old team the Lions who are in the Super Rugby Semi-finals but their other two teams in the play offs were well beaten by New Zealand teams. The Sharks were beaten 41-0 by the Hurricanes while the Stormers were beaten 21-60 by the Chiefs in Cape Town. Mains says that he sees more trouble ahead for the Springboks in the The Rugby Championship and beyond. “For my money they’re gone, with racially selecting teams, they’re not going to cut it,” Mains said. “With the quota system they have, I think the days of them being top competitors are over. “I would have to say New Zealand looks odds-on to take out the championship because of the depth. “You could select two All Blacks teams when you see the quality of the players that don’t make it. “This is all being developed at Super level and when these players go into All Blacks camp, that environment just takes them to another level as well. “When it comes to set-play, you wouldn’t say that the New Zealand teams are way ahead of Australia or South Africa. Coetzee who became the first Springboks coach to lose to Ireland at home ealier this year says that he does not see the quotas as a problem. “Transformation is not an issue for me,” Coetzee said. “As national coach you have to understand our unique situation in South Africa. “I firmly believe that uniqueness can make us stronger.